Dec 04, 2017 (LBO) – A leading energy company and a subsidiary of Lanka Ventures, the LVL Energy Fund is set to announce a 1.2 billion rupees initial public offering on 14th December 2017. Acuity Partners will be the issue manager. 120 million ordinary voting shares are to be offered at 10 rupees each. The company said this will be the largest IPO to be launched in Sri Lanka since 2015 and the proceeds will fund its strategic expansion and growth in the renewable energy sector. 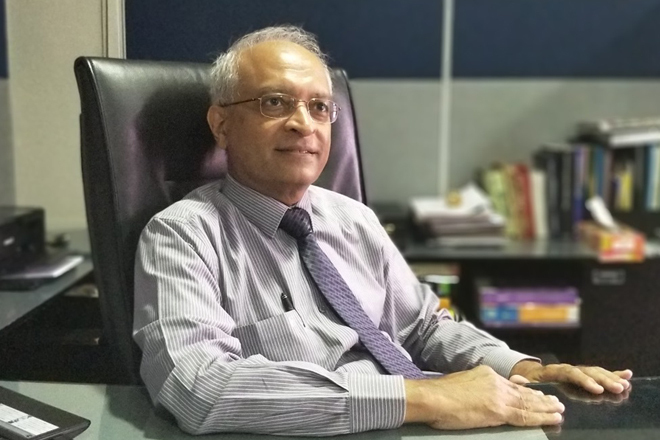 Following several rounds of fund raising which culminated in a total fund base of nearly 2,700 million rupees last year, CEO of LVL Energy Fund, Sumith Arangala said it is now in a better position to explore more prospects and markets. “Part of the funds raised from this IPO will be channelled towards investment in three new hydro power projects in Sri Lanka and Nepal,” Arangala said. LVL Energy Fund invests in renewable and thermal power projects with a diverse portfolio of energy projects spanning across Sri Lanka, Bangladesh and Nepal. Nearly 45 percent of the company’s investments are tied in thermal projects, whilst 30 percent and 25 percent of its investments are in wind and hydro projects respectively. LVL Energy Fund has investments in six operating local hydropower plants in Belihuloya, Aranayake, Ginigathhena, Galle, Norton Bridge and Bogawantalawa. The company also has investments in two operating wind power plants based in Kalpitiya peninsula in Puttalam district. More recently, LVL Energy Fund also invested in two thermal power projects in Rajshahi and Comilla, in Bangladesh. It will be the island’s only listed entity that possesses investments in thermal energy, as well as two key renewable energy sources; hydro and wind energy.